YMCA Europe's flagship programmes working together to shape the lives of young people in Europe: Leadership Academy 2017 & 2018 alumni have been given the opportunity to run their Peace project for social relevance thanks to a Seed Grant Tool by the YMCA Europe Roots for Reconciliation Programme. I have been involved in “Roots” since 2007 and during this period had attended, managed or facilitated dozens of events and activities, met hundreds (if not thousands) of people from all over the world, of all ages and walks of life and as a result, - built a beautiful mosaic of impressions and experiences. Very soon I was to be proven wrong! The moment we all met in Minsk Railway Station to take a short bus ride to the event venue, I could immediately see that this group was not going to disappoint. Smiles, jokes, laughter were immediate and the youth bonded well before we started ice-breaking sessions at the training center. 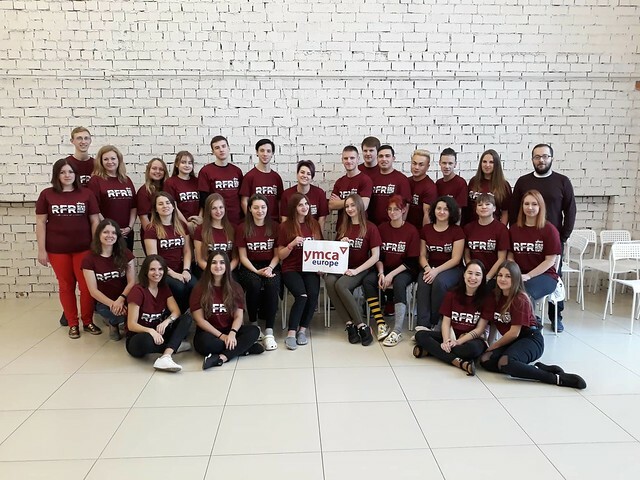 So they did and very well – 5 different project ideas (promoting healthy lifestyle among young people; cooperation between youth from Russia & Ukraine; youth mental health, etc.) were developed with commitment to elaborate them further and subsequently implement with support of sending organizations. And I am back at home with my mind already made up – I want to go back to Belarus!